Want to get away from it all and take a vacation where you don't need a vacation after it's over? A vacation to Sandwich, Massachusetts is just a few clicks away. We ‘re all too familiar with the schedules most families struggle to meet. Get Jonah to soccer practice. Drive Julie to dance lessons. Which do you go to: Julie’s dance recital or Jonah’s soccer game? Do you feed the kids fast food chicken nuggets or meal plan so they get healthy choices? If you decide to plan meals, where do you carve out time for that? We all know that stress has several effects on mental and physical health. When you stay at Dan’l Webster Inn, we have multiple family-friendly events that are pre-planned for you. Getting away from the routine and taking a vacation can give you break from the constant stress. Give yourself (and your family) a break! Take some time to relax so that once the time comes to return to your routines, you can do so refreshed and ready to take on the world! One of the best destinations for vacation in the U.S. is Cape Cod! There’s so much history here. Many of the locals in Cape Cod aren’t familiar with many of the hidden gems our little piece of the coast has to offer! 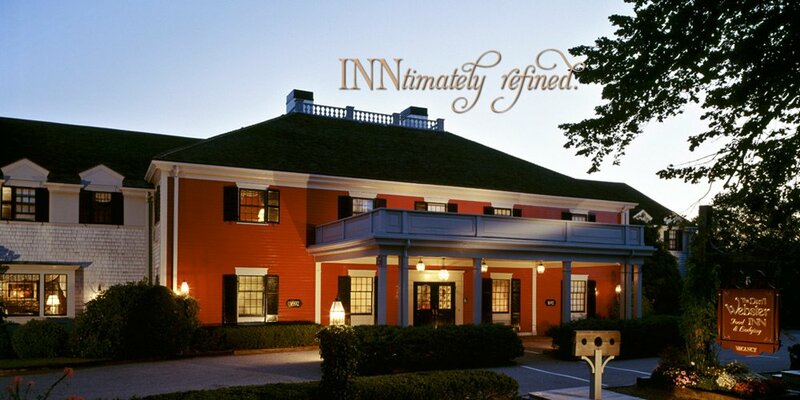 At the Dan’l Webster Inn, we mindfully considered the history of the area when we chose the furniture and décor for our Inn. At the same time, we know that kids must have their tablet time and business travelers absolutely can’t go anywhere without accessing the Internet, so there is free WiFi throughout our Inn. As a final touch, we knew you needed a bit or relaxation so we added just enough Zen and luxury to make you feel like you’ve reached your own personal sanctuary. Our Koi pond, lush gardens, heated pool, hot tub and spa are all waiting to provide you a little stress relief. We promised to do our part to bring you a stress free vacation, so why not do a little whale watching on the Cape? Not your speed? No problem. How about a train excursion to learn all about Cape Cod and all it has to offer. We can arrange that for you as well. If that’s not enough, or if you prefer to plan your own vacation, we’ve come up with some Family-Friendly ideas while you’re on vacation in Sandwich Massachusetts! Museums in this town are a must to visit. One of the famous museums is Heritage Museum and Gardens. The summer grounds of 100 acres, antique shows, and music concerts make this place the crown of the Cape Cod. There is an extraordinary collection of folk art in New England that is featured as well. A newly opened Flume Fountain cascades water their water lily pool. The Sandwich Glass Museum is well known for is its collection of Sandwich Glass. More history waits inside, as well as glass blowing demonstrations and a gift shop that provides gift-giving options that would please even the hardest person to buy for. Glass in this collection is considered some of the most important resources of pressed glass in America. It is the oldest part of the town and features around fifty buildings dating from the seventeenth century to the nineteenth century. A classic expression of the pride of New England is definitely the newly restored Hall Square, 1734. If you are a fan of history, you will definitely love it. More interested in something a little more active? We’ve got you covered. Scorton Creek kayak tours get you the activity you’re looking for while still integrating calming nature views. On this tour, you could see newborn Ospreys learning to fly, Cape Cod vegetation and flowers and more. Worried that you’ve never kayaked before? No worries – this tour is rated as beginner level. Kayaks and bikes can be rented from ECOtourz or Rideaway Adventures. Do you love sunsets? Want to capture them to look back on once you’re home? This is the best place to do it. Stroll around this breathtaking boardwalk and enjoy the scenery and nature. If you’re on a romantic trip with your spouse or significant other, this is a great opportunity to go to the boardwalk and listen to beautiful sounds of nature and relax. After stuffing yourselves on the exquisite food in our conservatory, you’re off to enjoy an evening of mini-golf. After a day of exploring, this is the perfect speed. Time flies by and 8:30 is here before you know it. You could head back to the Inn and settle in for the evening – or you could stop by Shipwreck Ice Cream in Sandwich to enjoy some of their quirky (but delicious) flavors. If you’re looking for something memorable and active where you can really enjoy nature, pack your fishing poles and head to Scusset Harbor off of Coast Guard Rd. Fishermen and women line the shores, pulling in fish for sport or for food! The Canal has been known to produce stripers, big bluefish and even flounder and fluke. Other fish like Pollock can occasionally be found here as well. Be sure you’re up to date on all Massachusetts state fishing licenses before making that first cast though! As always, if we can be of any help, our front desk staff is always happy to point you in the right direction. Remember, Beach Plum Spa is located right on our grounds and is only a phone call away. This vacation is all about you and your family. Make sure your batteries are recharged and ready for life that awaits back home. Until we see you, happy trails and safe travels!